Mischka Aoki spring summer 2017 collection, The Imperial Salon, takes us to the atmosphere of the Viennese salons during the Austro-Hungarian Empire, among opulent halls with refined and elegant gold ornaments. 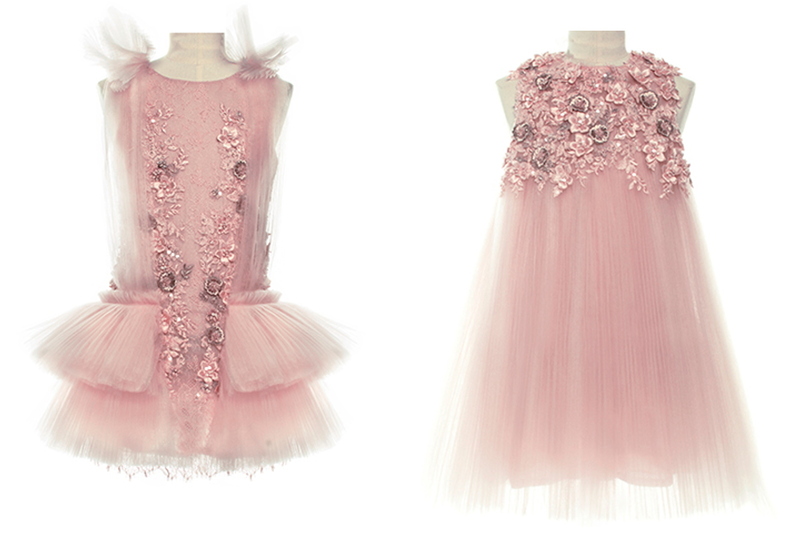 The Australian brand present a collection enlightened by stunning Swarovski crystal embroidery and precious floral applications, embellished with French lace embroidery, jacquard, brocade and specialised pleated tulle. For this blog post, we have selected three lines in the softest neutral tones: tea, white, and soft pink, but the colour pallet of the SS17 collection includes also bright yellow, forest green, peach rose and sliverish light blue. 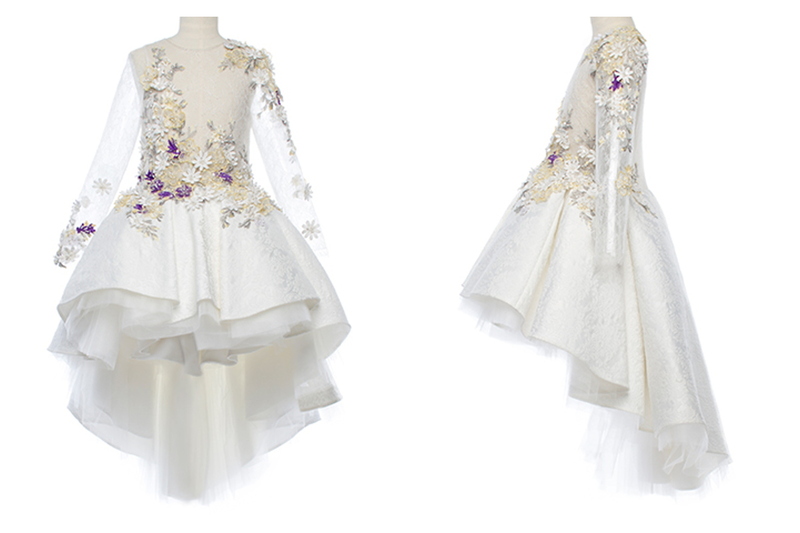 Each and every Mischka Aoki dress is a unique creation, characterised by a classical elegance, immersed in intricate details and exquisite fabrics. The advertising campaign comes with a great video featuring the making of the collection that can be seen on You Tube here. La collezione primavera estate 2017 di Mischka Aoki, “The Imperial Salon”, ci trasporta nell’atmosfera dei salotti della Vienna imperiale, tra raffinati ed eleganti saloni dalle rifiniture d’oro. 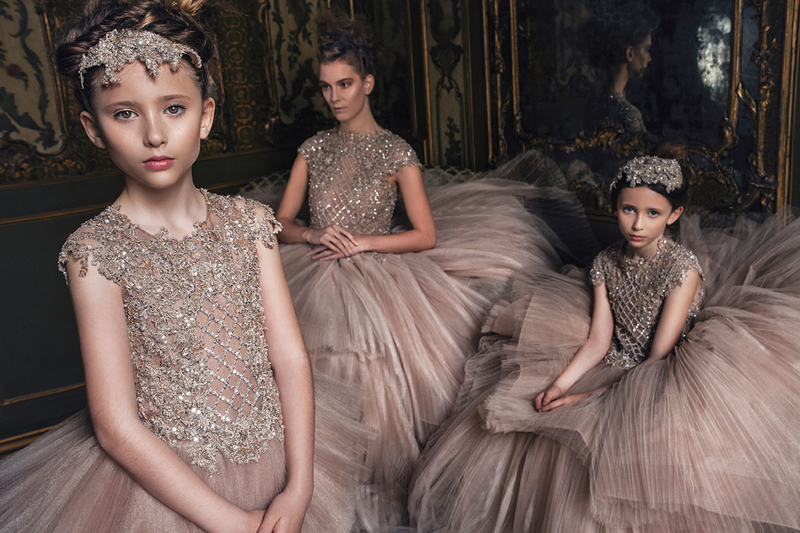 Il marchio australiano presenta una collezione illuminata da magnifici ricami di cristalli Swarovski e da preziose applicazioni floreali, impreziosita da ricami in pizzo francese, jacquard, broccati e tulle plissettato. Per questo post abbiamo selezionato tre linee dai toni più neutri: tè, bianco e rosa, ma la pallet cromatica di questa principesca collezione comprende anche giallo brillante, verde foresta, rosa pesca e un elegantissimo blu argento chiaro. Ciascun abitino della collezione primavera estate 2017 di Mischka Aoki è una creazione unica, dall’elegante classicità, grazie al sapiente utilizzo di dettagli intricati e tessuti raffinati. La campagna di comunicazione è accompagnata da uno splendido video che mostra la realizzazione della collezione primavera estate 2017 e potete vederlo su You Tube qui. Mischka Aoki Spring Summer 2017, a picture from the SS17 campaign "The Imperial Salon". In the picture the twin sisters Michela and Fabiana Italian baby models. Agency Moda Modà. Mischka Aoki Spring Summer 2017. 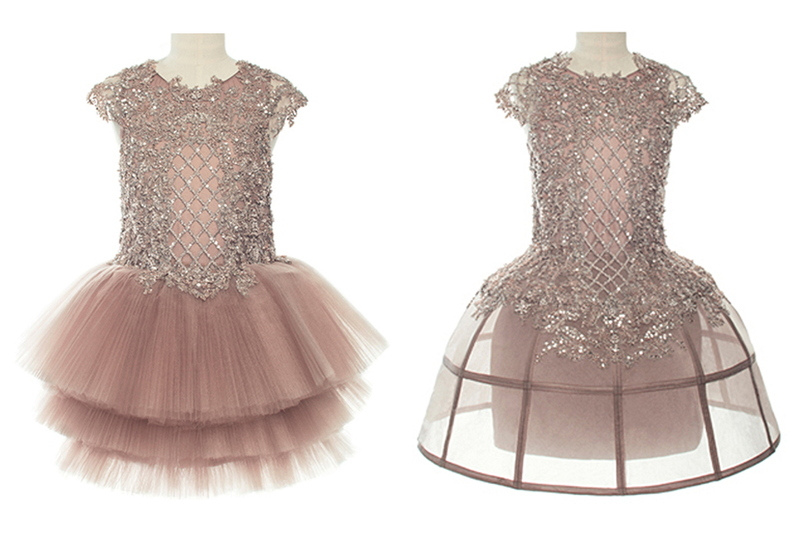 From left to right "The grand ballet" and "The Royalty" dresses. 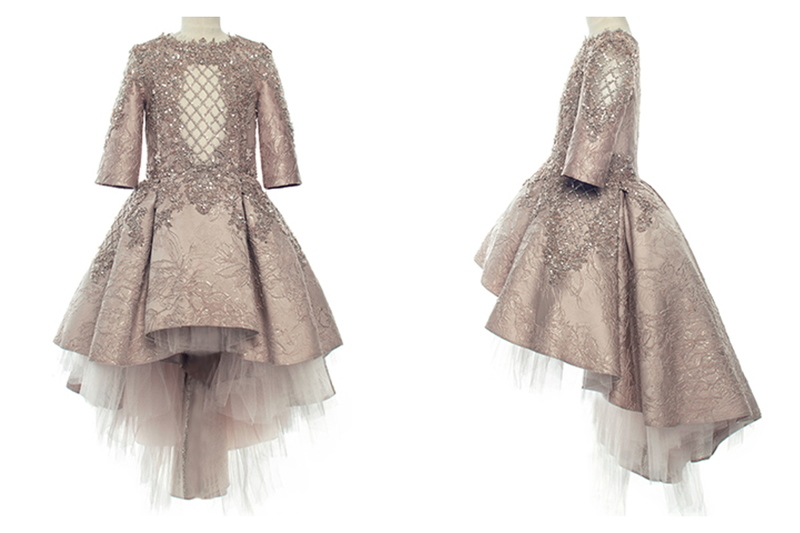 "The Royalty" dress is also available in other two lines. Mischka Aoki Spring Summer 2017, another picture from the SS17 campaign inspired by the Imperial salons in Vienna. Mischka Aoki Spring Summer 2017. "You are, my queen" dress. Mischka Aoki Spring Summer 2017, a stunning picture from the SS17 campaign "The Imperial Salon". 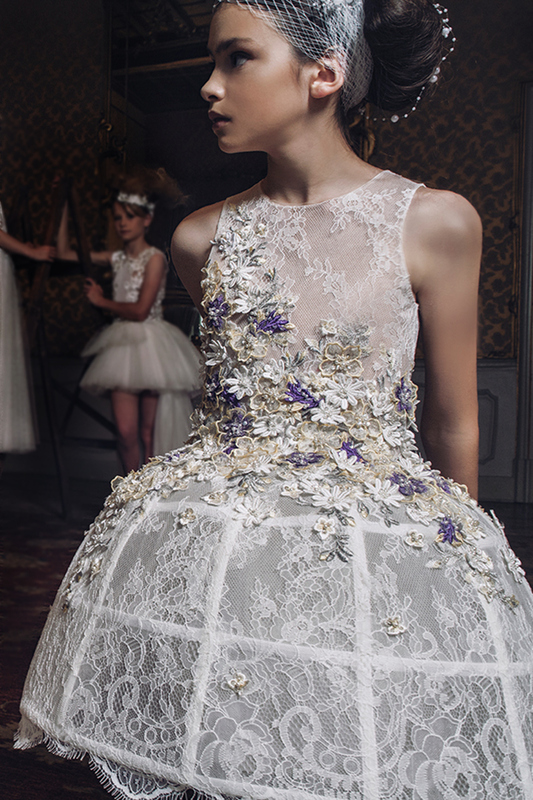 With this collection Mischka Aoki takes us to the salons of the imperial Vienna, in refined and elegant gold-plated halls where princesses try to conquer the heart of the prince. Mischka Aoki Spring Summer 2017. 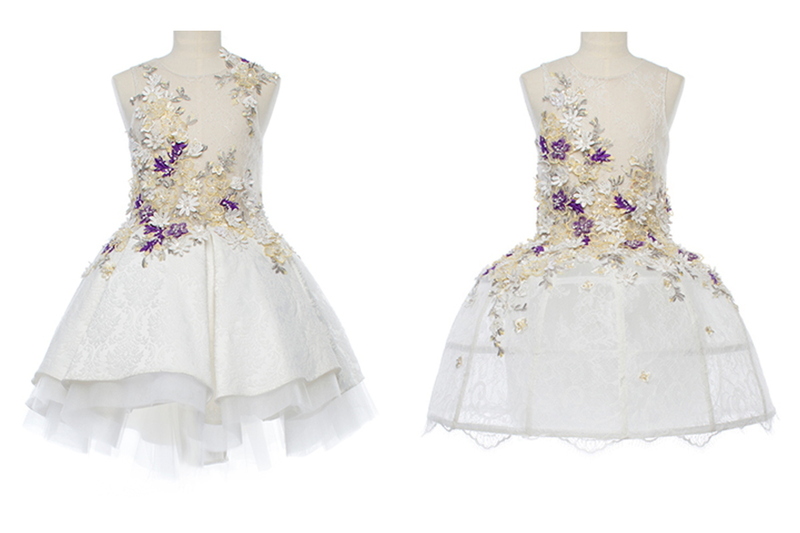 From left to right "The spring has come" and "The Royalty" dresses. 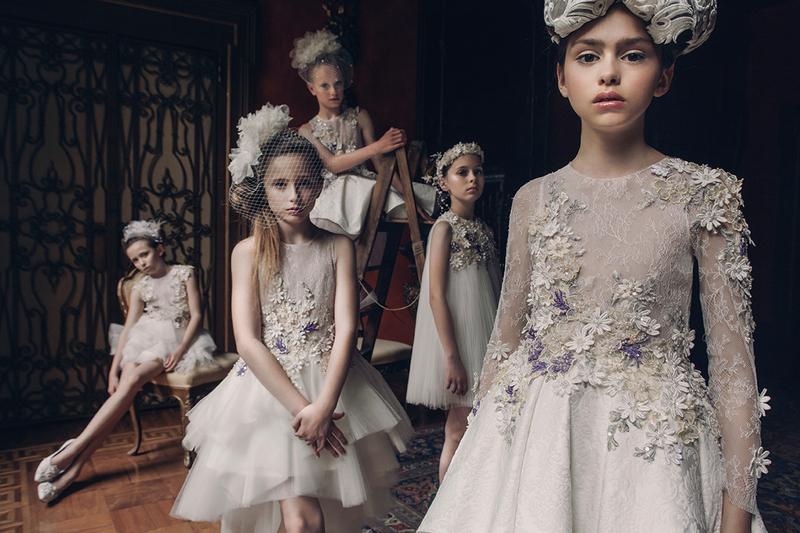 Mischka Aoki Spring Summer 2017, another picture from the SS17 campaign featuring a line with fabulous white wedding bridesmaids or ceremony event dresses. Mischka Aoki Spring Summer 2017. 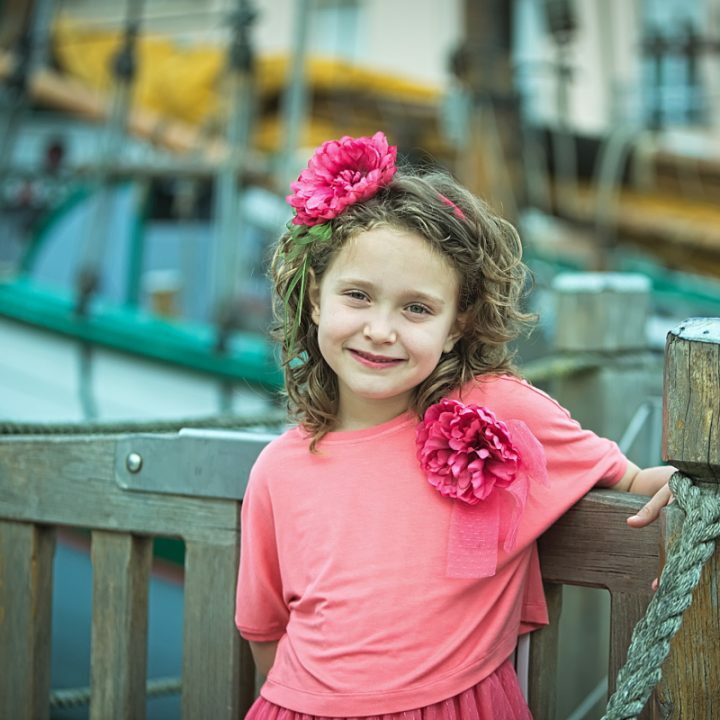 "The first place" dress. Mischka Aoki SS 2017 accessories. 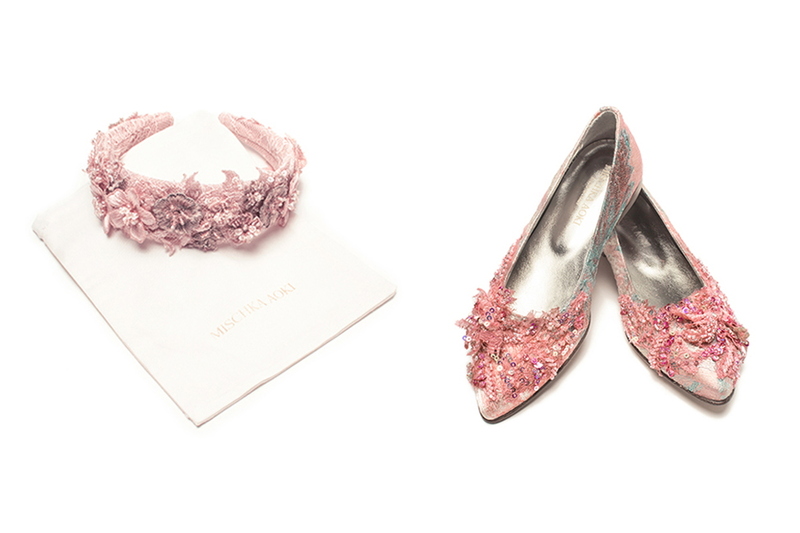 From left to right "Who's the prittiest" shoes and "My dreamy princess" hairband. Mischka Aoki Spring Summer 2017, SS17 campaign "The Imperial Salon". In the picture on the left twin sisters Michela and Fabiana Italian baby models. Agency Moda Modà. Mischka Aoki Spring Summer 2017. 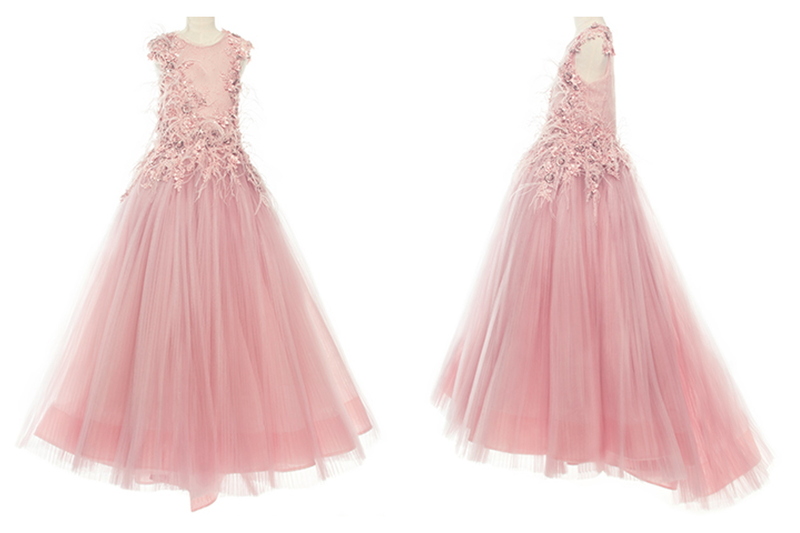 From left to right "That's love" and "Live like a fairy tale" dresses. Mischka Aoki Spring Summer 2017 accessories. 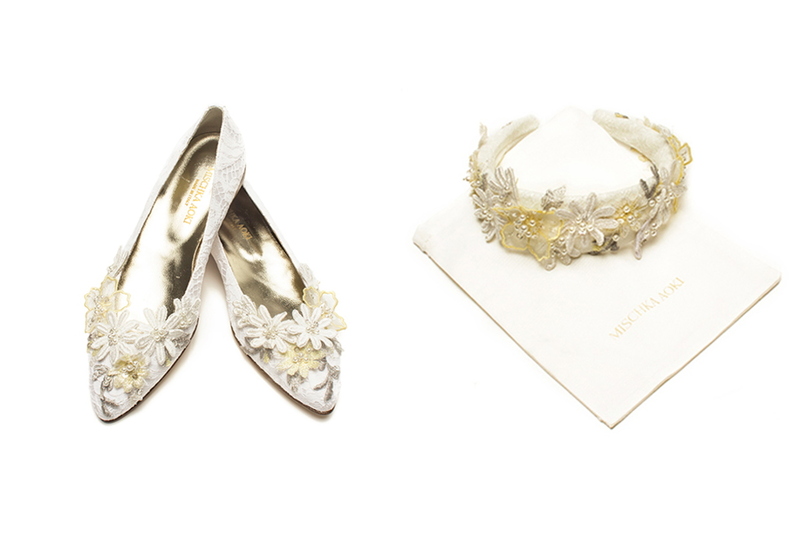 From left to right "Who's the prittiest" hairband and shoes. Mischka Aoki Spring Summer 2017. "The arrival" dress.